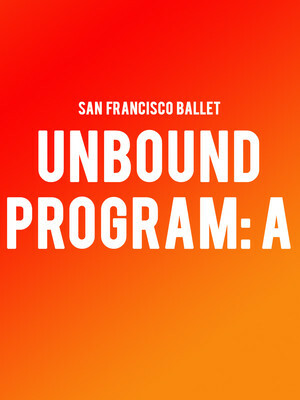 Why See San Francisco Ballet - Unbound: Program A? Always at the forefront of the artform, San Francisco Ballet presents a festival of brand new works by some of the dance world's most innovative choreographers, including Christopher Wheeldon and Justin peck. Conceived by Artistic Director Helgi Tomasson, Unbound comprises four programs of three new works (all world premieres), and a total of 17 performances. Each program will have a distinct flavor, and will afford San Fran audiences the rare chance to see numerous future repertoire standards at their birth. The twelve choreographers presenting their works during the festival are: David Dawson, Alonzo King, Edwaard Liang, Annabelle Lopez Ochoa, Cathy Marston, Trey McIntyre, Justin Peck, Arthur Pita, Dwight Rhoden, Myles Thatcher, Stanton Welch, and Christopher Wheeldon. Sound good to you? Share this page on social media and let your friends know about San Francisco Ballet - Unbound: Program A at War Memorial Opera House. Please note: The term War Memorial Opera House and/or San Francisco Ballet - Unbound: Program A as well as all associated graphics, logos, and/or other trademarks, tradenames or copyrights are the property of the War Memorial Opera House and/or San Francisco Ballet - Unbound: Program A and are used herein for factual descriptive purposes only. We are in no way associated with or authorized by the War Memorial Opera House and/or San Francisco Ballet - Unbound: Program A and neither that entity nor any of its affiliates have licensed or endorsed us to sell tickets, goods and or services in conjunction with their events.